Anyone who has worked to put their property on the market can tell you that it is no easy feat. If you are surprised by a hidden structural defect or an unexpected pest infestation, the price of your property can drop while in escrow. If you feel like you need to order building and pest inspections near Point Cook, you’ll need the best building inspection for your price. Go with Building Property Inspections Melbourne. 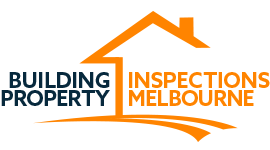 Building Property Inspections Melbourne provides a top-quality service for a fair price. They offer pre-purchase inspections near Point Cook as well as timber pest inspections. Property inspections near Point Cook are done best by Building Property Inspections Melbourne. So that we can work at your convenience, we are available to work for you at very short notice. We understand when an emergency arises that requires immediate action. That is why Building Property Inspections Melbourne wants to work as soon as you need. We will perform the building inspections, correspond with you over the phone, and bring you a detailed report within 24 hours. If you need building inspections near Point Cook or other Melbourne suburbs, our high-quality inspection service will bring you many benefits. We aim to take the apprehension and fear out of property inspection, perform our top-quality service as fast as you need, and help you buy, maintain, or sell your property. Our professional technicians can properly seek and detect issues in your property that may go invisible to the untrained eye. We check all external and internal timber for pests as well as your roof cavity, subfloor areas, and any other dangerous areas. We will detail any defects in our reports. All our building and pest inspections in Point Cook or other surrounding suburbs come with the prompt delivery of a detailed damage report. We include full-colour photographs and will ensure that you can understand your report by using clear language and answering any questions over the phone. If you need property inspections near Point Cook, spend no more time wondering about your property’s health. Get in contact with Building Property Inspections Melbourne any time and enjoy security knowing the status of your property. We offer a whole range of services to ensure that your property is at its best. Whether you need pre-purchase inspections in Point Cook, timber pest inspection, inspection for buildings under construction, pre-dilapidation reports, or special purpose inspections, we can do it on very short notice.